Novyye izvestiya interviewed Ruslan Pukhov last week. He has some perspectives on Russian military procurement we’ve heard before, and some we haven’t. NI asked the CAST director if the U.S. Tomahawk strike on Shayrat would hurt Russia’s exports of air defense systems. He said no, for all the obvious reasons. Of course, the cost is only low if you’re not in the crossfire in Syria. And how have economic problems and sanctions affected the OPK? Recent news reports indicate all is not well in Russia’s defense-industrial complex (OPK). This despite several years of budgetary largesse in the form of an ever-increasing state defense order (GOZ). Defense plant OAO Radiopribor in Vladivostok is officially bankrupt, but some remnant will be preserved in an 11th hour deal turning the company into a subsidiary of OAO Dubna Machinebuilding Plant (DMZ) in Moscow Oblast. How effectively DMZ can operate a money-losing business 6,500 km to the east is anyone’s guess. Local press indicates that labor authorities in Primorskiy Kray are already working to place or retrain some Radiopribor employees (i.e. not all of them have a future at the old plant). The industrial holding company AFK Sistema and its electronics subsidiary OAO RTI own DMZ. DMZ makes components for military aircraft including external fuel tanks. Radiopribor’s 1,500 workers hadn’t been paid in eight months, and the enterprise’s wage arrears amounted to 224 million rubles along with general debt of 3.5 billion rubles. The figures on the salaries are interesting — the average employee may have been making a little more than 18,000 rubles per month. That was probably about two-thirds of average pay in Vladivostok last year. Russia’s sole manufacturer of infantry fighting vehicles — BMPs, Kurganmashzavod (KMZ) in the Urals recently defeated a Moscow-based creditor’s attempt to have it declared bankrupt for failing to pay on 41 million rubles of arrears on its leasing contracts. It defeated the effort because, as a subsidiary of Kontsern Tractor Plants, KMZ is a “strategically important enterprise” and can’t be bankrupt according to a longstanding presidential decree. KMZ apparently also owes its gas supplier. It has a state order for 200 BMPs in 2015-17 which should help it some. It’s been a big supplier of civilian heavy equipment in the past, but that must not be going too well either. Press from late March described OAO United Instrument-building Corporation’s effort to come up with an “anti-crisis” plan for its enterprises in Tambov Oblast southeast of Moscow. OAO OPK is itself part of Rostekh. OAO OPK’s Revtrud factory has 1 billion rubles worth of debt. Revtrud’s wage and tax arrears come to about 150 million rubles. It makes communications and electronic warfare systems. OAO OPK says it plans to amalgamate affiliates Revtrud, Oktyabr, Tambovapparat, and Efir into a single production complex. It will spend 4 billion rubles to recapitalize and reequip these enterprises. Tambovapparat doesn’t seem to be doing too well either. Efir is doing the best; the MOD is buying its Borisoglebsk-2 jamming system. On 22 March, TASS quoted Jan Novikov, general director of S-400 maker Almaz-Antey, who indicated he was considering a 30 percent cut in his workforce for economic reasons. A week later, he walked this back saying savings might come through other means, according to a TASS report of an interview he gave Rossiyskaya gazeta. Novikov stated that cost-cutting is needed to pay the bills for financing and starting up production at new plants in Nizhegorod and Kirov. This from what is arguably Russia’s best-performing arms producer. On top of these reports from various corners of the Russian OPK, we have interesting news from important characters in Moscow. They seem to agree that the GOZ is turning downward, and taking the fortunes of these companies with it. On 5 March, Deputy Defense Minister Tatyana Shevtsova, who oversees the military’s budget, said its financing would be trimmed by 5 percent this year, but claimed weapons procurement would be untouched. A week later, Rostekh Chief Sergey Chemezov told The Wall Street Journal that the GOZ could be slashed by 10 percent in 2016. President Putin’s administration chief Sergey Ivanov traveled to Tula on 29 March to preach about a time when the GOZ will decline and defense enterprises will have to diversify. On 31 March, the chairman of the Federation Council’s Defense and Security Committee Viktor Ozerov admitted there could be problems financing military procurement in 2017, but insisted the Defense Ministry would not abandon its goal of 70 percent modern weapons and equipment by 2020. At the outset of the armaments program in 2011, more than one or two wise observers said Russia’s industrial obsolescence and its reliance on hydrocarbon rents needed fixing before making heavy investments in defense industry. Why? 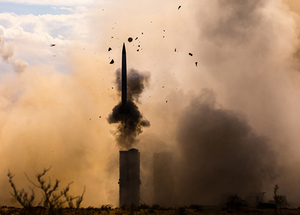 Defense industrial investment has a smaller multiplier effect in the overall economy. The time and money to make these changes has been wasted, and now is an inauspicious time for them. 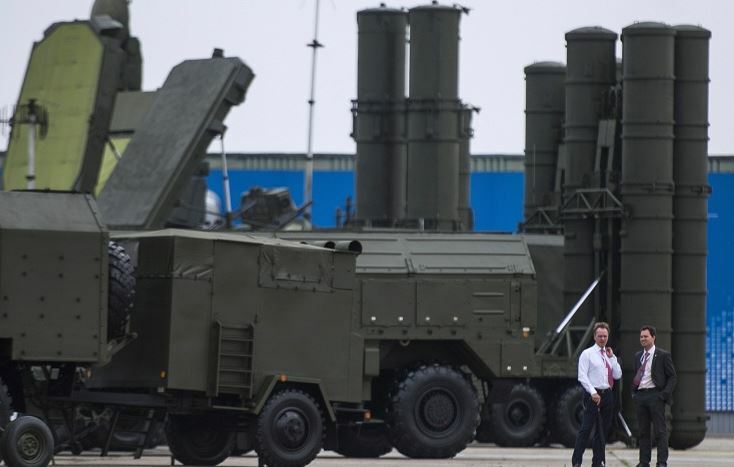 We might never be done with this topic, and that’s OK.
On 17 March, TASS reported that Russia will sell China two “regimental sets” of S-400 Triumf surface-to-air missiles in a deal reportedly worth $3 billion. Moscow and Beijing signed the S-400 contract in September 2014. Each “set” has two battalions of four S-400 launchers. Or a total of 16 launch vehicles. Or 64 missiles and an unreported number of reloads. Recall that previous reports claimed China was after no less than six S-400 battalions for that same $3 billion price. The September 2014 deal includes training for Chinese personnel beginning in the last quarter of 2017, according to TASS. Its source also stated that the first “regiment” will have the same missiles as the S-300PMU-2 SAM systems China already has. The 48N6E2 with its 200-km range. The second will have missiles “with improved characteristics.” Presumably, the newer 400-km 40N6E. But it’s not clear that the 40N6 (or export-version 40N6E) missile is fully out of testing, if some press reporting is accurate. China is, of course, the first foreign customer, but India will apparently be the second. According to RIA Novosti, India is negotiating for five S-400 battalions for a reported $5.8 billion. However, it seems unlikely New Delhi would pay that kind of premium for a fifth battalion, even with all 40N6E missiles. On 2 September, TASS reported Almaz-Antey delivered its ninth “regimental set” of S-400 / Triumf SAMs “ahead of schedule.” The agency cited General Director Jan Novikov who claimed his company will send two more “sets” to the military before next year. They will be numbers ten and eleven. But those late year deliveries have a way of sliding to the right. Novikov said the most recent “set” wasn’t due until November under the delivery plan. He indicated the S-400s and associated equipment were sent to the “test range” — Kapustin Yar — where all “delivery-handover tests” were conducted successfully. Writing for RG, Yuriy Gavrilov reports that, to meet the demand for the S-400 and S-500, Almaz-Antey has a robotic microelectronics production line for SAMs in Omsk. This week the firm is also supposed to open a robotic lathe and milling line at the same facility. Novikov reportedly said it will increase productivity in priority areas by a factor of 12. Gavrilov writes that the new “set” is bound for Moscow. It will make a fifth red pin in a blob of four currently around the capital. Twelve “sets” are supposed to defend the skies of the “central administrative and industrial region” by 2020. That count of nine S-400 “regimental sets” is intriguing. By last year’s information, this should be ten, with the delivery to Kamchatka being the ninth. But apparently not. So which of the nine red pins is wrong (if any)? It might be Novocherkassk, but some recent sources place this “regimental set” at Novorossiysk. Which begs its own question: will the Defense Ministry shift them to Sevastopol eventually? Also, there’s no indication yet of where “sets” ten and eleven (or eleven and twelve?) could go. How do the overall numbers look? If the fifth “set” for Moscow is actually the ninth overall, we’d expect a total of 19 regimental sets (based on General-Major Demin’s September 2014 statement that 12 more would be deployed). If it’s actually the tenth, then a total of 20. Both possibilities get close to the 56 S-400 battalions projected under the GPV. If all “sets” after Kamchatka have three battalions, they might get between 50 and 52 battalions. There’s reason this week to return to the issue of what the S-400 system costs. Specifically, what it might cost China. Vedomosti reported Wednesday that Russia has signed a deal with China to sell it the S-400 / Triumf. The business daily’s defense industry source claims the agreement inked by Rosoboroneksport and the Chinese military will send off not less than six battalions of the advanced SAM system for more than $3 billion. That would be at least $500 million per battalion (against the previously ventured guess of about $320 million). Or in excess of $80 million per TEL. The Russian Defense Ministry has consistently maintained that the S-400 won’t go abroad before 2016. Vedomosti notes China’s last big purchase was 15 battalions of S-300PMU-2 completed in 2010. RIA Novosti pretty quickly reported that an official of Russia’s Federal Service for Military-Technical Cooperation (FSVTS) said an S-400 contract hadn’t been signed with China as yet. Rosoboroneksport and Almaz-Antey just declined comment. Last week Interfaks-AVN wrote that the Russian military just received two “regimental sets” of S-400 / Triumf SAMs. They make numbers seven and eight. One became the fourth “regimental set” of the 4th Aerospace Defense Brigade around Moscow and the other is bound for the 1st Aerospace Defense Brigade on the Kola near Northern Fleet headquarters at Severomorsk. The Kola brigade is the first in the Western MD to have the S-400. It falls under the Western MD’s 1st Air Forces and Air Defense Command. The other three of the eight are the 3rd (Kaliningrad), 7th (Novocherkassk), and 12th (Nakhodka) Aerospace Defense Brigades. Almaz-Antey General Director Yan Novikov told the Interfaks-AVN that, for the first time, the Defense Ministry will get three S-400 “regiments” in a single year in 2014. TASS reported even earlier last week that Almaz-Antey will deliver the ninth “regiment” will before the end of December. It will be the first three-battalion regiment, and is destined for Kamchatka, or the 14th Aerospace Defense Brigade (Yelizovo). In September, the commander of PVO and PRO for VVKO, General-Major Andrey Demin told TASS that 12 “regimental sets” of S-400 and 72 Pantsir-S would be procured by 2020.